Last night my family and I went to Blue Man Group at Starlight in Kansas City. What an outrageous assault on the senses! I kept thinking, "What is this?" It's not a concert or a magic show or circus…it is all of those and more. Once the shock and awe wore down, my thoughts turned toward innovation. Someone came up with the idea and someone encouraged it. According to a 2012 Fortune article, an average of 60,000 people a week attend Blue Man Group performances in six cities around the world — not including the touring shows — at an average ticket price of $59, or roughly $3.54 million in revenue a week from sellouts. What do you think about that? Isn’t that remarkable, considering how hard it is to get people to think outside the box and be creative? It makes me wonder what if we’re missing in our daily jobs. What if the writers of Blue Man Group came to your workplace? How would they view your organization? 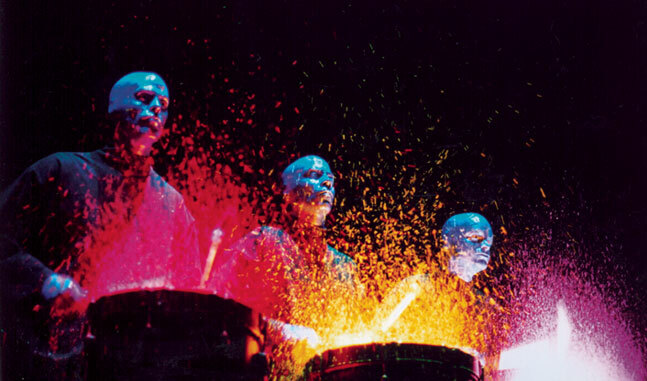 As more companies encourage more innovation, let’s get in the habit of thinking about Blue Man Group. WWBMGD? What Would Blue Man Group Do? Use the Z Model to encourage innovation. Where are you on the Model? Are you the idea person who sees things differently? Or, are you the one to get others involved on the way to figuring it out? Or, maybe you are the detailed person who likes figuring out how to make things happen? Or, you could be the person who gets it done. Which are you? If you aren’t the first person, resist the temptation to burst the bubble of an idea. Instead, encourage it to grow. There will be plenty of time to figure out the details and whether the idea could really work or not. But, there’s no chance if our tendency is to stifle creativity right off the bat. Let the creative minds foster ideas. If you are the first person, resist the temptation to hold on to your ideas too long. You might not be the best person to move an idea forward, so involve others and let them do their part. When the creative thinkers resist the rest of the innovative participants, they stifle themselves. Someone’s brain came up with Blue Man Group—probably, a team of brains. And, others supported them, and others made it happen. Think about them as you create a culture of innovation at your workplace.